Paperless Pipeline automatically detects the side of a transaction your office represents, allowing you to easily differentiate listing and buying-side transactions. You can filter transactions by side and auto-assign checklist templates based on the side. Paperless Pipeline determines a transaction's side based on the agents associated with it. If a transaction has listing agents from your company, its side is deemed to be "Listing". If it has selling agents, the side is "Buying". If it has both types of agents, the side is "Listing & Buying". Hover over the letter to see the expanded name of the side. Click Transactions from the top navigation bar. Click [Filter] above the list of transactions. Select your Side by clicking the "Side" drop-down list and selecting the desired option. Click [Filter Results]. Transactions matching the side you specified will be displayed. Click [Add a Checklist Template] to add a new template or click the name of an existing checklist template to edit it. Click [Automatically assign this checklist to transactions] to enable the auto-assignment section. If you'd like the checklist template to be assigned regardless of a transaction's location, click the checkbox [Automatically apply to transactions in all locations]. If left unchecked, the automatic assignment of the checklist will only occur when the transaction is in the same location as the checklist template. Specify the Status, Label, and Side based on which you want Pipeline to auto-assign this checklist to transactions. Automatic detection of Sides means you don't have to use Transaction Labels to store the side of the transaction. 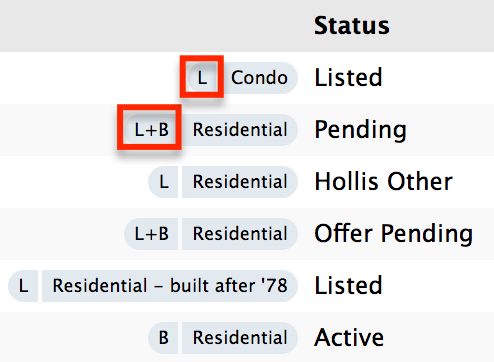 This frees up the label field to hold the property type of a transaction (Rental, Commercial, Residential, etc.) or any other classification you'd like to track. If you previously used Transaction Labels to track which side of the sale a transaction represents, we can help you remove those labels from transactions and reset any affected auto-assigned checklists to be based on the new Sides field.